With the start of our new label "Musikalische Feinkost", the first record goes straight from our studio kitchen to the turntables. But what can you expect? Five signed artists from Musikalische Feinkost invite you to dinner. The appetizer is served by Four Peanuts Deluxe with their track Thorny Heart. The two Thuringian guys know how to do it. Melodically and playful, Deep House of its finest. The second course brings "Vivid & OneBrotherGrimm". The duo serving their smoothe vocal house track "Don’t You Do". The next snack is served by "Bumich". A melodic vocal house track that gives the musical palate the highest pleasure. Brascon & Blaumann present us a sweet little dessert. Their track "Okay!" comes with a crazy and groovy tech house sound. 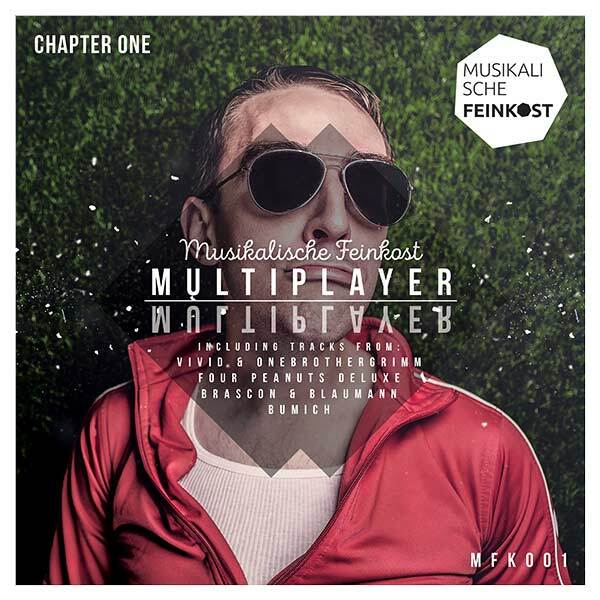 The concept of "Multiplayer" will be completed by a DJ mix of all tracks by Kirill Bukka.